Kuala Lumpur (28 September 2017) — Casio Malaysia Sdn. Bhd. will be celebrating the 35th anniversary of its G-SHOCK brand in April 2018. 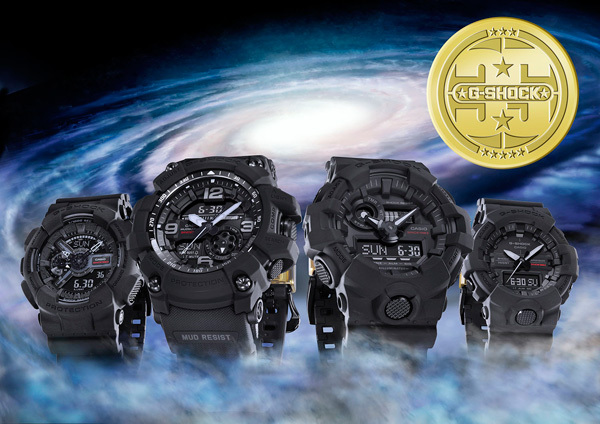 To mark this milestone, Casio announced the release of BIG BANG BLACK, a commemorative collection of four G-SHOCK models featuring the new colour, matte black. By looking back to the origin of the brand, Casio produced this collection to share its commitment in creating new values in the coming years. The BIG BANG BLACK collection which is the first set of the 35th anniversary models, employs a new kind of black, the symbolic colour of the brand. The matte finishing of the new base colour was achieved with the technology that incorporates particles into the paint. The gold colour back case expresses the instantaneous mega explosion of the Big Bang in contrast to the matte black. 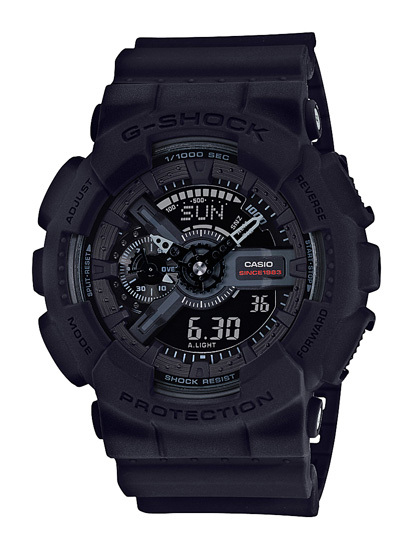 The back case of these models are engraved with the G-SHOCK 35th anniversary logo designed by Eric Haze, a world famous graphic artist, while the metal band loops are emblazoned with a star emblem that represents 35 years. The phrase, “SINCE 1983” is featured on the dials, and special packaging has also been created to further enhance this very exceptional collection. For more information, log on to www.casio.com.my.